In the words of Justin Trudeau our new Prime Minister-designate..."Sunny ways, my friends, sunny ways." And hopefully for those of us who live in the "great white north," sunny days as well. I'm going to pause here for a moment and do my little happy dance... been a lot of that going on since Monday night. Okay. Back to my topic, which isn't politics, surprisingly. But fashion.... not surprisingly. It's been a wonderful season so far for fall fashion. Crisp cool days. Cool enough that the leaves have turned and are beginning to fall. This is the road near our house where we walk sometimes. Yep, we've had the kind of weather that's cool enough for cosy sweaters and boots. But still warm enough some days that I don't need a jacket or coat over my sweater. The other day I wore my cream, wool Gap turtleneck from last year, with high-rise Paige skinny jeans, and my new Paul Green boots. I added a favourite Anne Marie Chagnon necklace and earrings. And a gold bracelet which belonged to my mum, who was given it by her mum, my grandmother. They can't all be sunny days; it wouldn't be fall if we didn't have days like this. On Sunday Hubby and I walked in a stiff breeze under a threatening sky. Definitely not sunny, but still beautiful. It was snowing by the time we reached home. All the better to build a roaring fire, make a nice cup of tea, and log some quality book time. And all the better to wear my beloved Max Mara tweed blazer. I bought it in the late 90's, the last time longer jackets were in style. I was so happy last year when I saw that long jackets were back. It's really well made and still looks like new. I don't think tweed ever wears out, do you? And the sage green is the exact colour of the green stripes in the Vince t-shirt I bought at the Nordstrom sale in July. Aren't I clever? Or maybe my subconscious drew me to the tee because it remembered the colour of the jacket, even if I didn't. Or maybe it was just luck. My Citizens of Humanity jeans are nicely faded now, and I love the look of faded denim with dark green. My buddy Liz chose this Holt Renfrew wool scarf for me a few years ago. Sage green and teal paisley on one side and soft brown animal print on the other, it goes with everything. Including my old green blazer. Hey look, I'm mixing my prints here: stripes and paisley. I am just so on trend, aren't I? And this is what I wore for lunch with an old friend the other day. It was most definitely chilly that afternoon, but I was toasty warm in my Vince coat sweater, this camel and burgundy scarf, my burgundy NYDJ pants, and my burgundy Marc Jacobs bag. Clearly I am happy with this outfit. And, you know, I'm just feeling happy in general this week. You see, Hubby had a very positive six week check-up with his surgeon this morning. As of today, he's no longer wearing a sling to immobilize his shoulder and arm, and he can start his physiotherapy tomorrow. Soon he'll be driving again. And maybe, before too long, he'll be back in action. But let's not get ahead of ourselves; there's months of physiotherapy before that. Patience is still the watch word. But at least he can start to do something to effect a better recovery, something other than waiting. I love the fall. The season of new beginnings. And endings, of course. And here in the "great white north" we've had some serious beginnings and endings this week. Canada elected a new government on Monday. And a new Prime Minister. He's the son of a man whom you might call a Canadian icon. Love him or hate him, you can't deny that Pierre Elliot Trudeau, who was our Prime Minister from 1968 to 1979, and from 1980 to 1984, had an indelible effect on this country. In fact many of us grew up during the Trudeau years, and were affected by "Trudeaumania" as the press called it, even before we were old enough to vote. So I'm sure you'll forgive me for being a teensy bit nostalgic. Here's a famous shot of Pierre carrying two year old Justin on his hip, like a football, and being saluted by a member of the RCMP as they enter Rideau Hall in 1973. I love this picture. On election night, I stayed up until the bitter end, watched all the returns, the speeches.... everything. And despite the fact that I was happy with the outcome of the election, I felt a little sad as well. You see, every election since I was old enough to vote, I've either watched the returns on TV with my step-father or called him afterwards to rehash the results. It was a tradition. My step-dad was a dyed-in-the-wool Liberal. 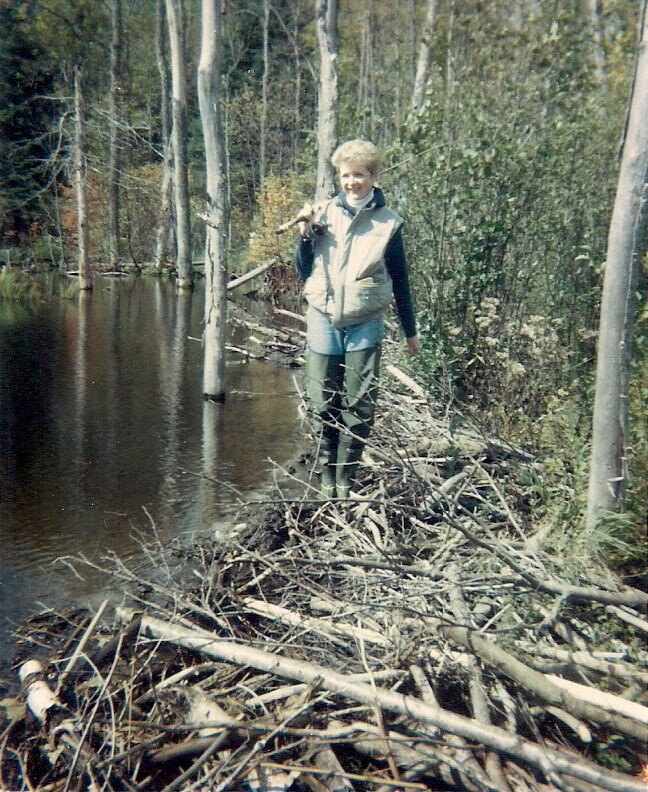 Growing up in a riding that was a longtime Tory strong-hold, he was dubbed "that Grit from Douglas" as a young man. And he remained a true Grit (if you'll pardon the pun) all his life. My step-dad died a few years ago. But after almost ten long years of Tory rule in Canada, I so wish I could have made that call on Monday night... he would have been ecstatic. But back to sunny days and sunny ways. "Sunny ways, my friends, sunny ways" is a line from Justin Trudeau's speech on election night. He was actually quoting another Liberal Prime Minister Wilfred Laurier who said those words a hundred and twenty years ago. This article in the National Post explains how Laurier earned his reputation as the original "sunny" politician, who preferred compromise to confrontation. So... the election was over. Tuesday dawned bright and unseasonably warm. Party volunteers all across the country pulled up campaign signs. I saw a few being tossed into the backs of trucks as I drove to my appointment across town. I'm sure there were many, many candidates, and campaign workers, and journalists who were so exhausted they were loathe to get out of bed. But it was impossible to stay in bed on such a beautiful, sunny day. Besides, for winners and losers alike it was time to get on with the next thing, whatever that might be. And for me. I'm done talking about elections and politics. Let's talk about fashion. What do you love to wear when the weather is perfect for cosy sweaters and tweed jackets? Great outfits Sue & great news about hubby's progress . You must be so relieved . I don't know much about Canadian politics but you certainly have the dishiest world leader ! I love Max Mara. Most of the jackets and coats I bought when I was teaching were MM. I just keep recycling them:) Hope your heat wave passes soon. Otherwise you may never get to wear your fall clothes! LOVE that first outfit- so stylish!! I love all of these looks. And will probably copy them. Please tell me--what brand is that beautiful bag? My bag is Marc Jacobs. Got it in the Nordstrom Anniversary sale.... 40% off. Love that sale! Cozy sweater and boots are some of my very favorite pieces. And I love your NYDJ burgundy pants - I wonder if they still make them? 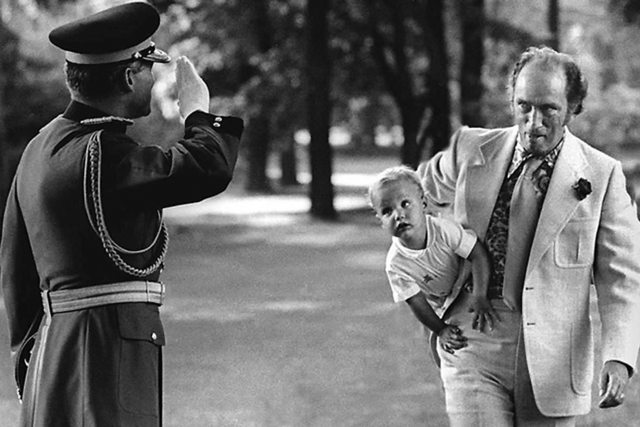 I think you are lucky with your new PM, and even as a child in the U.S., I remember thinking something was pretty amazing with Pierre Trudeau. I hope his son is a true bright light. I only bought the NYDJ pants in July, and saw them at Nordstrom just a week or so ago. I hope that Trudeau brings a new positive spirit to Canada...and reverses some of the very embarrassing (one might even say un-Canadian) stuff that our gov't has done in the last few years. Lovely pictures! You are stylish and classy. Here in Sicily it rained a lot but today it's sunny and warm again. Thanks very much. And thanks for stopping by. 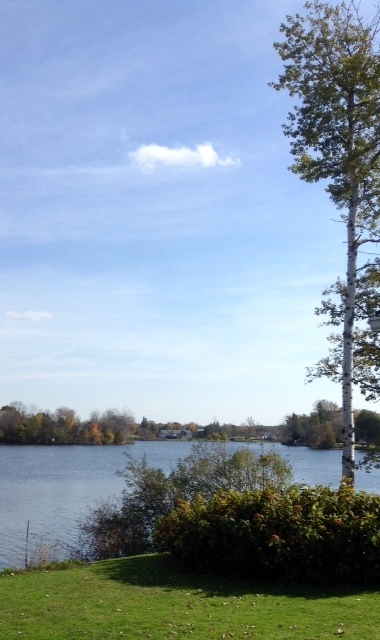 I find that the fall in Canada is very short - before you know it I'll have my winter parka out! But in the meantime, for going 'downtown', to church, things like that, I enjoy wearing a short wool Lands End coat that I have. It's camel coloured and I have some nice scarves that go well with it. If I'm just out walking, I wear a quilted short jacket with a jumper underneath, with jeans. Thanks, Patricia. Fall is short, isn't it? Now that I'm not working I have to remember to wear my tweed jackets etc.... before it's too late. Love the looks. You always have such 'wearable' ideas! And my Dad was one of those died-in-the-wool liberals. Here, in Alberta, where it isn't at all popular. Husby and I follow in his shoes. Trudeau put Canada on the map. We're hoping this Trudeau will put us back on the map! Thanks, Diane. Me too. I'd like to feel proud of our international reputation again. Congratulations Canada!!! I share your excitement about the election results. I grew up admiring Pierre Trudeau (not fully realizing how much he and I differed, politically, from my Albertan grandparents), and even though I'm not a fan of political dynasties, per se, I definitely admire and support your new PM-designate. Let us hope that U.S. voters are as wise in 2016 as Canadian voters just were!! Congratulations also, to you and your husband, on reaching such an important milestone in his recovery. I know from experience how great it is to be able to begin physical therapy. Your patience and care is paying off! Thanks so much, Leslie. I agree about political dynasties. But in this case I think Trudeau junior's win was all to his own credit. He ran such a positive campaign, based on what Canadians think are our real values...and that was so refreshing. I'll try to get a better shot of the green jacket and tee...my camera (and thus my shots) is not the best without really good light. Something I'd like to work on in the future. Sunny? Sunny? Oh how I wish it were rainy! Down here in Southern California it's always sunny. Still wearing summer clothes. Tweed blazer? Are you serious? Love your looks. Always love them. They are very me when and if it ever gets cold. Love scarves and skinng pants and fun jewelry! I love that path that you walk on. Beautiful. So glad your husband is on the mend. It's interesting that a year or so ago I realised that whilst in the Uk we seem to be aware of who's who in the American Government I for one know little about Canadian politics. I do however remember Pierre Trudeau, the only Canadian Prime Minister I can name and I was thrilled to hear his son is now your new Prime Minister .... most Canadian bloggers I read (all 3!) seem happy too, so for that I'm pleased. Great news about your hubby's progress re his shoulder injury. Please wish him good luck with his physio .... I hope it's a success. Thanks, Rosie. I will pass on your good wishes to my husband. He's anxious to get on with things...very anxious:) It's hard to think of sweaters in the heat isn't it? I don't think I've ever been in a whole store devoted to Vince...sounds like my kind of place! I also watched election returns as a youth with my parents...and I still watch them today. Love the autumn picture and your fun bag! Thanks Pam. I can't understand people who don't vote and who aren't interested in the outcome of elections. Seems to me that's the minimum requirement for being an adult in a democratic society. Ca't wait either...it will be interesting to see if the mood on the hill changes. Unfortunately, those of us who lived in Calgary through the NEP and saw many of our friends and neghbours lose their jobs and homes, do not share your "nostalgia" for the Pierre Trudeau era and have little enthusiasm for the son. There is a reason that there were no Liberal MPs elected in Calgary for 47 years. Sorry to hear that, Glenda. Most of my nostalgia was for the youthful enthusiasm I felt when I was a teenager, and not really for the particulars of PET's political decisions. I can understand that you would feel differently. It's so hard the first ... or even the second or third ... time you do something without someone you miss. I've lost both my parents in the last couple of years and I could write way too much about that. But on to fashion! Such perfect fall looks and I'm drooling over your Marc Jacobs burgundy bag! I have a MJ in black (Too Hot Too Handle Tote) and I just love the soft pebbled leather. I think that the Marc Jacobs bag will "wear" well...and by that I mean look better and better when it gets a bit worn looking. I've always loved that old leather look. Comes from cutting my fashion teeth in the 70's, I guess. Thanks for hosting Fun Fashion Friday! You have such a nice,easy flair on writing and I do love your clothes choices and your positive attitude. I wish a fast recovery for hubby and yes, I do remember Trudeau on the news when I was a teenager. You see I come from Greece and I believe our then Prime minister Papandreou was a close friend. And if I remember correctly he had a beautiful wife,too! I hope his son is a good prime minister. The son of Papandreou wasn't as he brought IMF in Greece. I love mixing fashion with politics!!! Thanks, Kelly. I think you're right about the Greek Prime Minister. Yes, Margaret Trudeau is indeed beautiful...obviously where Justin gets his looks. So glad your husband is mending. Patience is indeed the key : > You look marvelous as always. And now you have a Liberal, very attractive leader, yes! Thanks Patti. And thanks for hosting Visible Monday! Love your Gap turtleneck! Such a fall and winter staple! Thanks Darcy. Love that t-neck and it cost me next to nothing! I bought it with a 40% off coupon. Love those e-mail coupons! 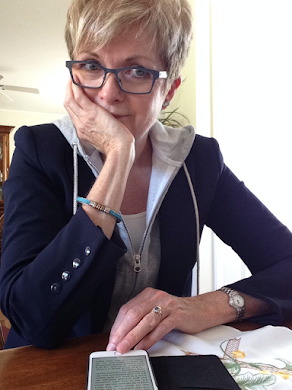 Since I have moved North myself and dressing for dark, cold climes is new to me, I'll be reading your blog with interest--for inspiration and advice. I, too, am loving the Fall colors and brisk cold air here in Oregon. I'm just a little lost as how to dress!!! 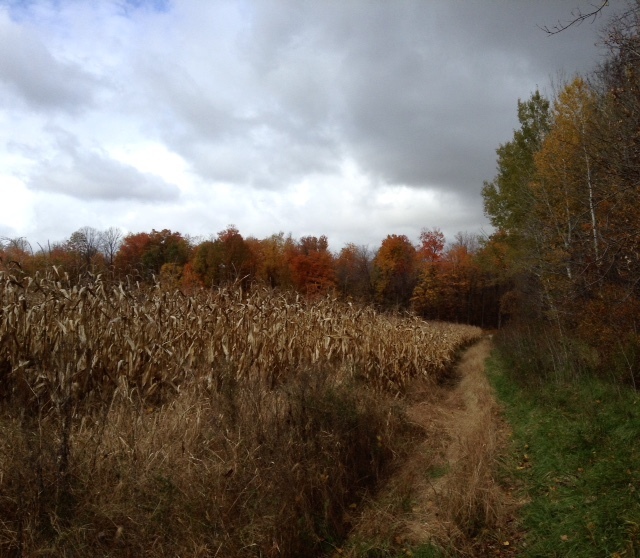 I can imagine if you've always lived in a warmer climate, fall and winter dressing in the north can be a huge change. Once it gets cool here I start wearing footless pantyhose under my jeans. If my bottom half is warm, I don't feel the cold as much. Good luck with your transition.